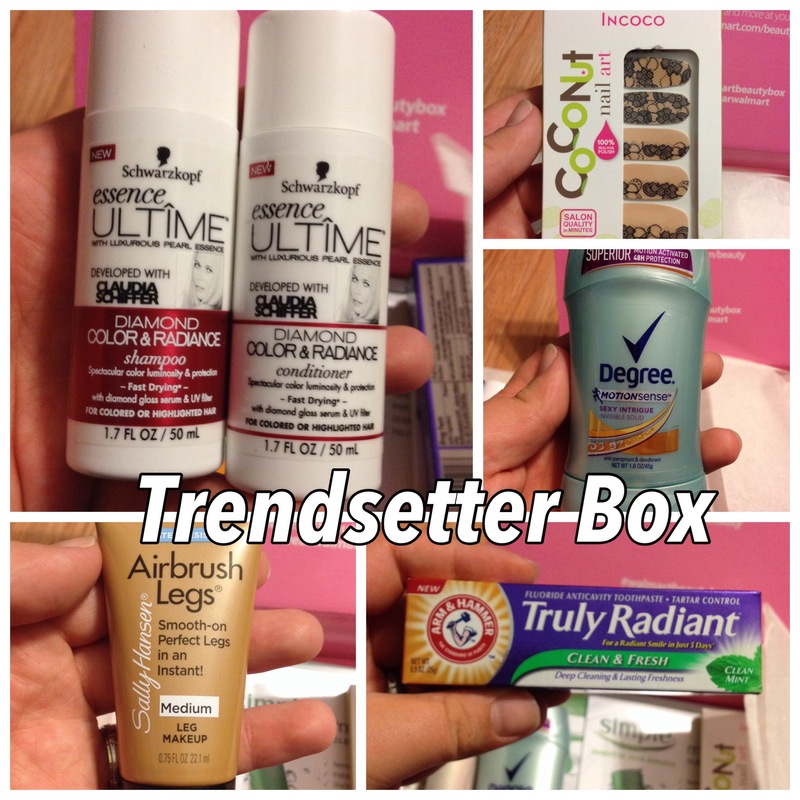 Today I’m gonna share what I got in my fall walmart beauty boxes! This is my second time getting them, and I think it’s super great! 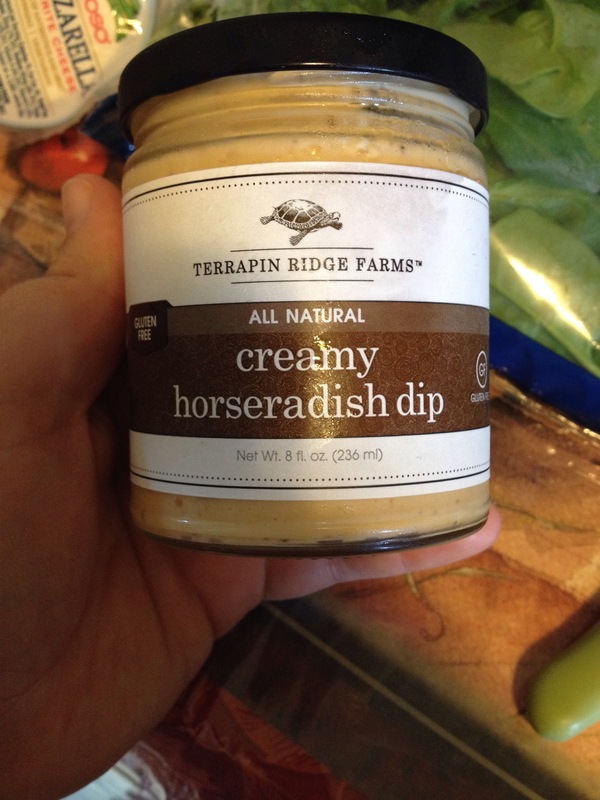 I love getting a chance to try out products that have been right under my nose at my trusty walmart, that for whatever reason I haven’t tried yet. I get the trendsetter, and the classic box. Both if my boxes arrived a lot later than it seemed like everyone else’s did.. 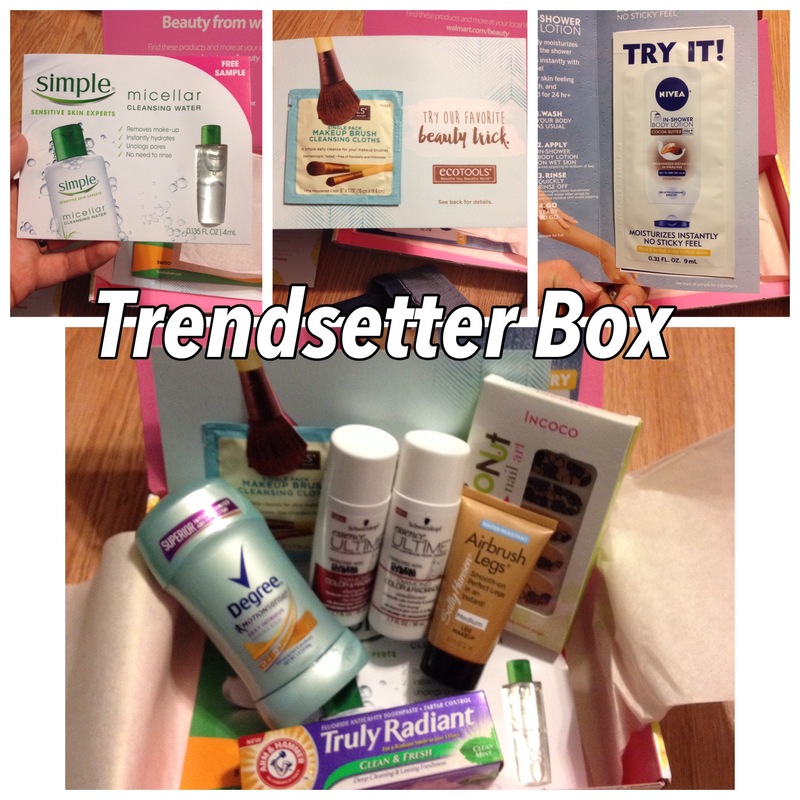 I got my trendsetter box first so we will start with that.. Here is a picture of what the no looked like when I opened it, I love the blue and purple color scheme, my bedroom is done is blue and purple so that was a cool. Here we have village naturals therapy bath salts, extra whitening toothpaste from Hello brand (was very excited to se this product is made in the USA, I’ve been wanting to use more USA based products), clean and clear deep action 90 second shower mask, very excited to try this I usually use my face way in the shower to save time so this will be fun to try, and Dove body wash in sweet cream and peony. 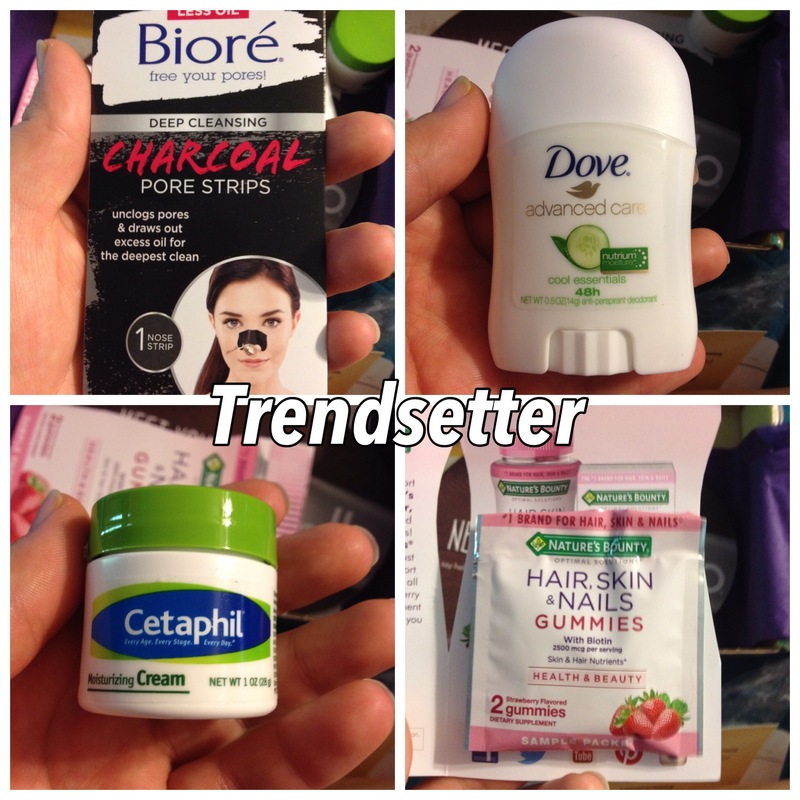 A biore charcole pore strip, which I already know I like because I have purchased them before, Dove deoderant cool essentials 48hr, cetaphil moisturizer (already tried this, not sure if your supposed to put it in your face or use it like lotion??? ), a sample of natures bounty hair skin and nails funnies, they tasted super good and I might purchase it next time I but vitamins. 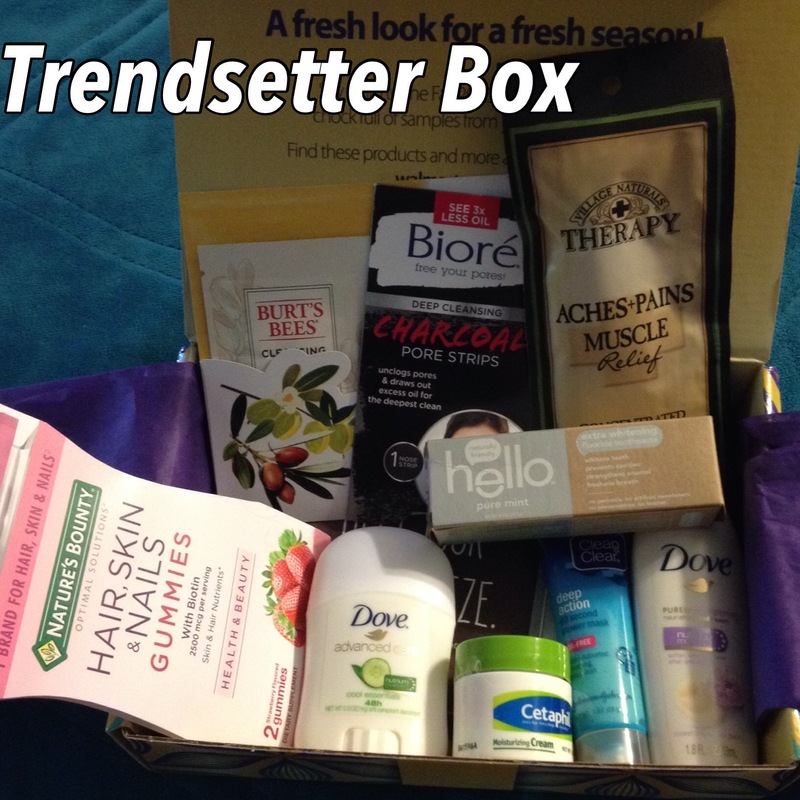 That’s everything that was in my trendsetter box, all very useful and practical items which I personally like getting. 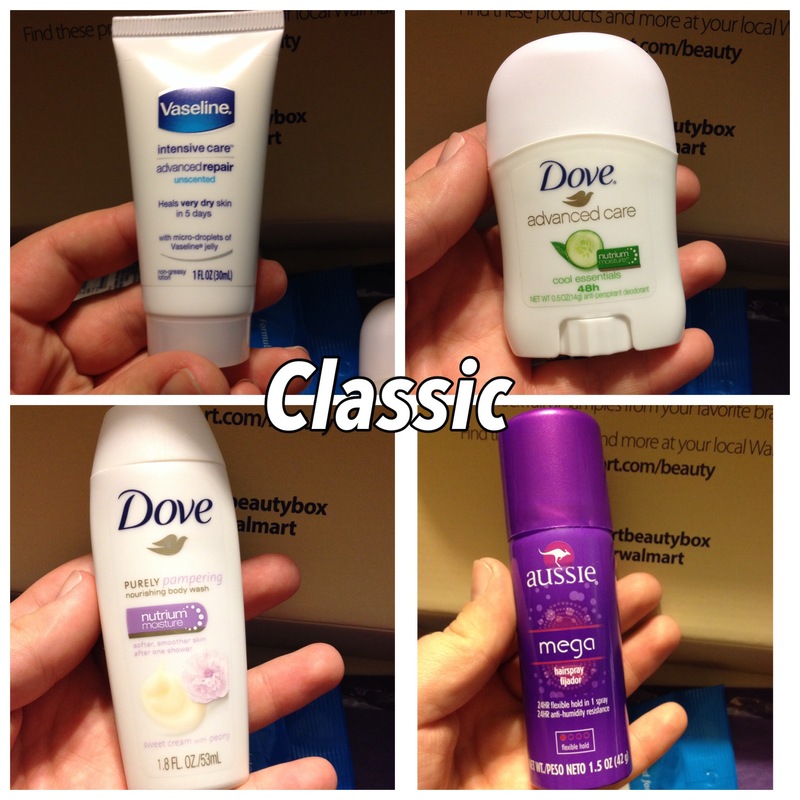 Now onto the classic box..
Vaseline unscented lotion, Dove deoderant, Dove body wash, and Aussie mega hair spray. The dove items are the only repeats between these two boxes, which is nice because my winter boxes had a lot of the same items, although I do think I got this same hairspray in my winter box, which is fine with me because this is the hairspray I usually use anyways. Even the duplicates of the dove items doesn’t bother me because I just give one to my mom. Another bath soak but in a different kind this is a nighttime one, cetaphil cleansing cloths (10 count! I checked at walmart and a full size pack had 25 wipes for $5 something so that’s pretty awesome), and roc multi correxion cream. That’s everything! I really liked this seasons boxes and was glad there wasn’t as many duplicates as the winter boxes! And remember these boxes are just $5 each so I highly recommend it if your interested in getting into the beauty box game but wanna try out a cheaper option first! I went to a salvage store today, and got a bunch of makeup! So if you don’t know what a salvage store is, basically it’s a store that sells out of date or “damaged” items. I dont know how popular they are in other areas, but there are quite a few around where I live so I like to go every now and then. This time I got super lucky! The stores usually sell non perishable type foods like cereal, pasta, rice, candy, or body/hair care items, makeup, pet supplies sometimes, just very random stuff, basically whatever they can get at salvage price. All of the makeup I got was $.99, that’s it! I was super excited tbh. Below I will post pictures of the products and a few swatches, and the regular price of the item (I googled the product and wrote down either the walmart or target price, some of them I wrote both). 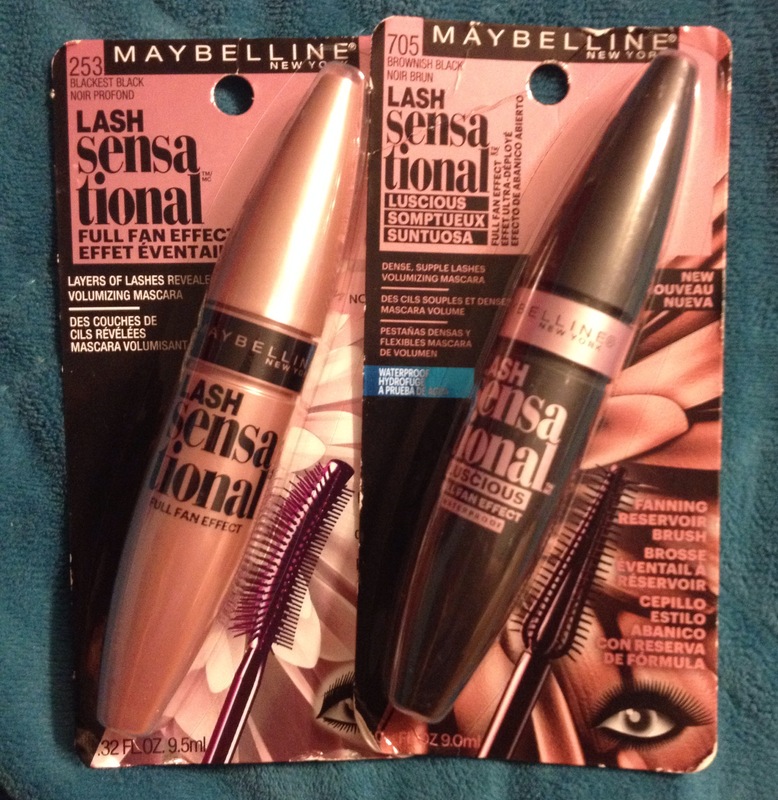 Okay so I got five mascaras, these are the first two, the maybelline lash sensational mascara, one in blackest black ($6.29 @ target), and one in waterproof brownish black ($6.99 @ target, $6.25 @ walmart). I have seen the commercials for this mascara, don’t know how great it will work, usually I will just google reviews in the store before buying a product, but I was in a hurry and for $.99 I’m not that worried about it. Here are the other three mascaras I got (actually I bought every one I seen except the falsies one cause I saw a review that it wasn’t very good..). Anyways, I got the revlon super length ($5.99 @ target). 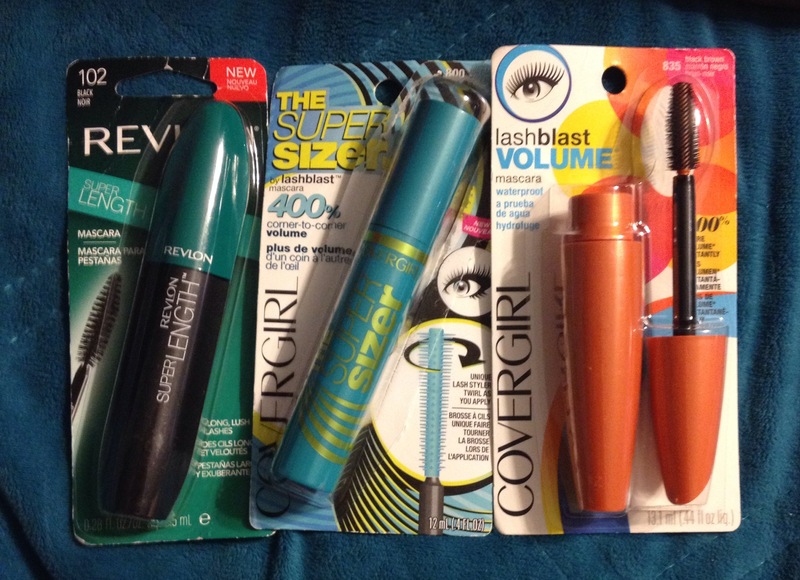 Covergirl The Super Sizer ($5.99 @ target, $5.94 @ walmart). Covergirl Lash Blast waterproof in black brown ($6.99 @ target). 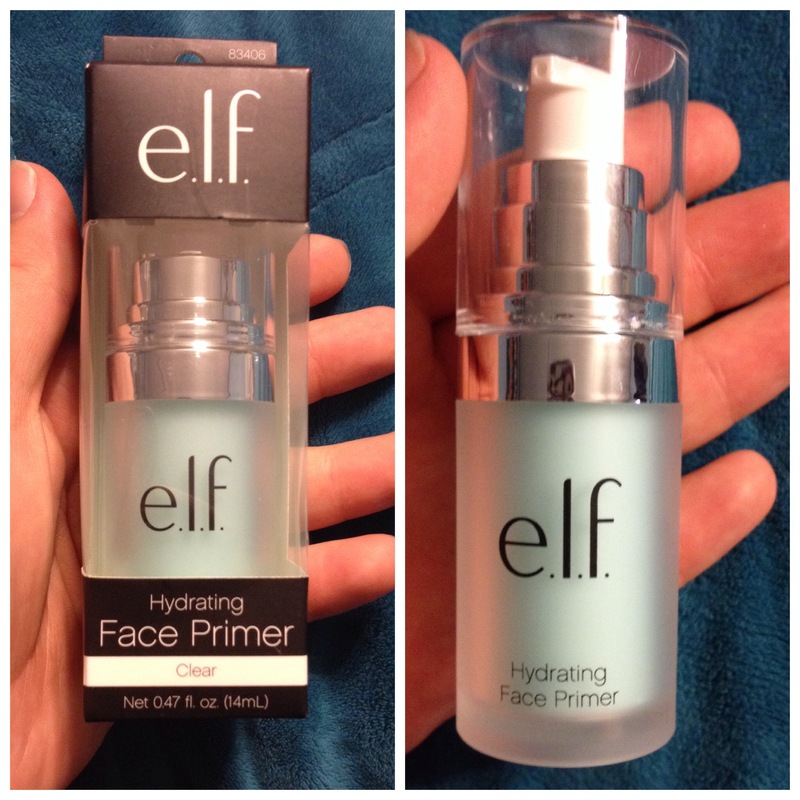 Elf Hydrating Face Primer in clear ($5.19 @ target, $5.40 @ walmart). Lippies!! From left to right we have covergirl caramel kiss 240 ($5.39 @ target). 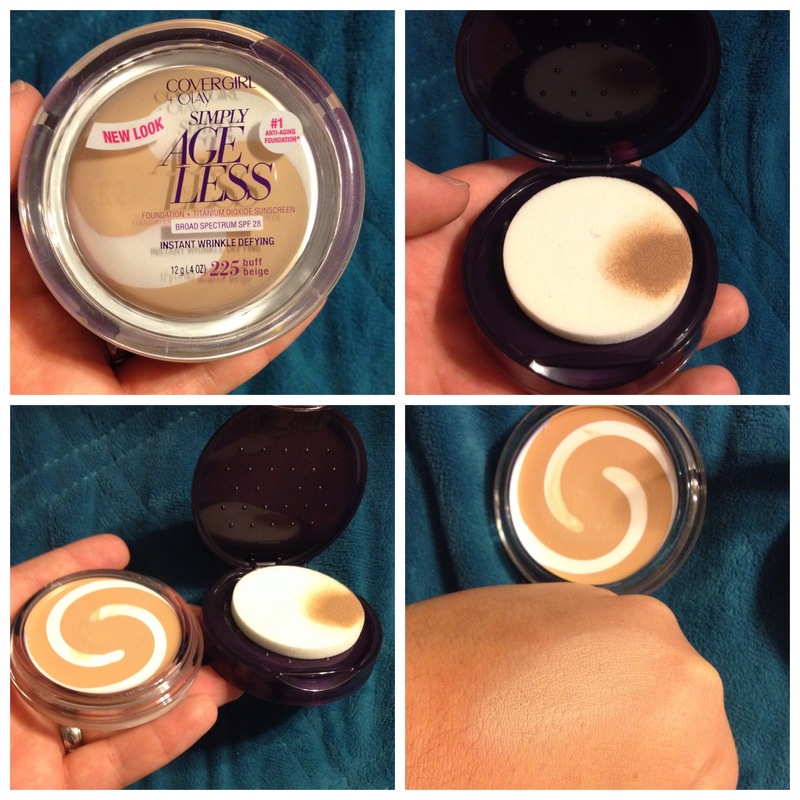 Covergirl creme 230 ($5.39 @ target), I think I’m gonna like this one a lot (I tried both covergirl lipsticks today and the formula went on very creamy and streaky, and like I thought I did not like the caramel kiss color). Nivea lip balm a kiss of mint & minerals ($2.39 @ target). Nivea lip balm in a kiss of olive oil & lemon ($2.39 @ target). Revlon color burst lip balm in demure 105 ($6.19 @ target). 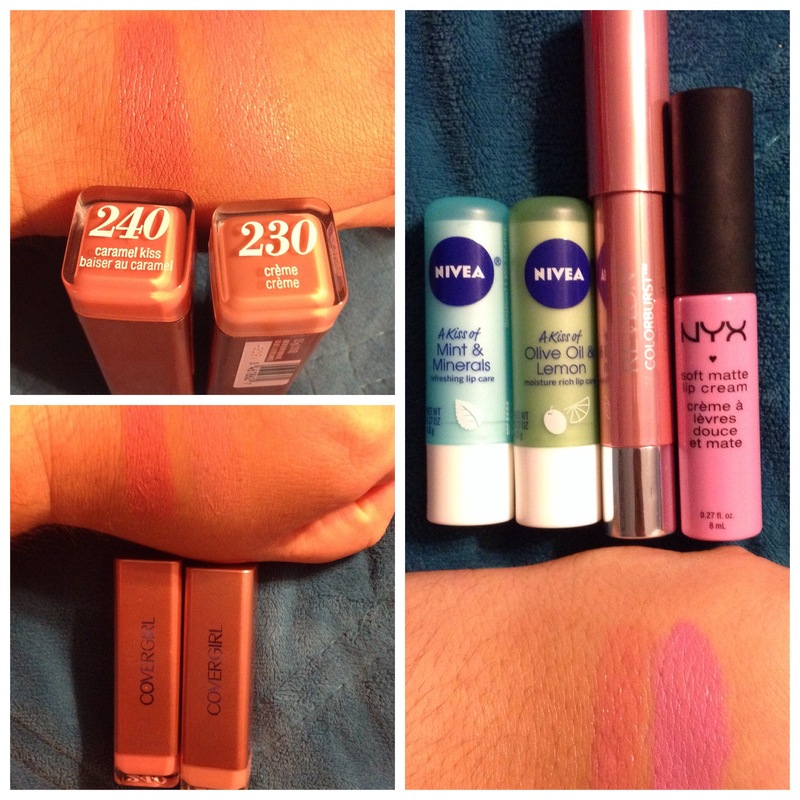 NYX soft matte lip cream in smlc13 Sydney ($5.99 @ target). 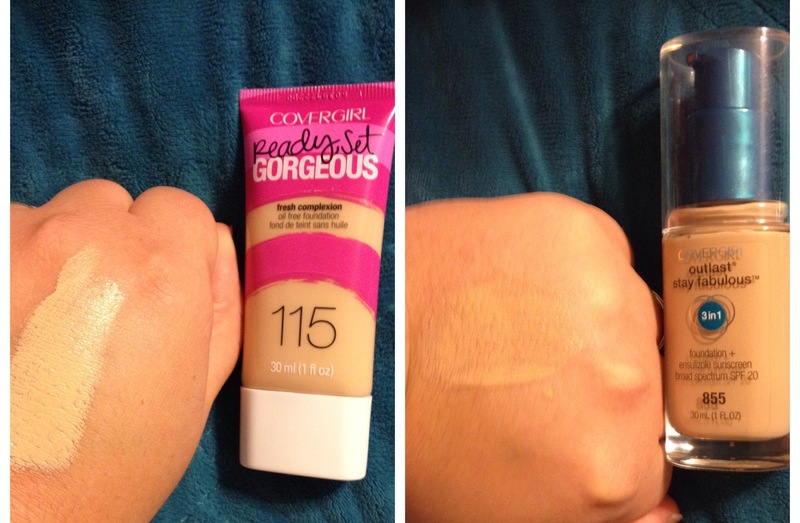 Covergirl ready set gorgeous foundation in 115 buff beige ($6.30 @ walmart). Covergirl outlast stay fabulous 3 in 1 foundation in 855 soft honey ($8.59 @ target, $8.52 @ walmart). 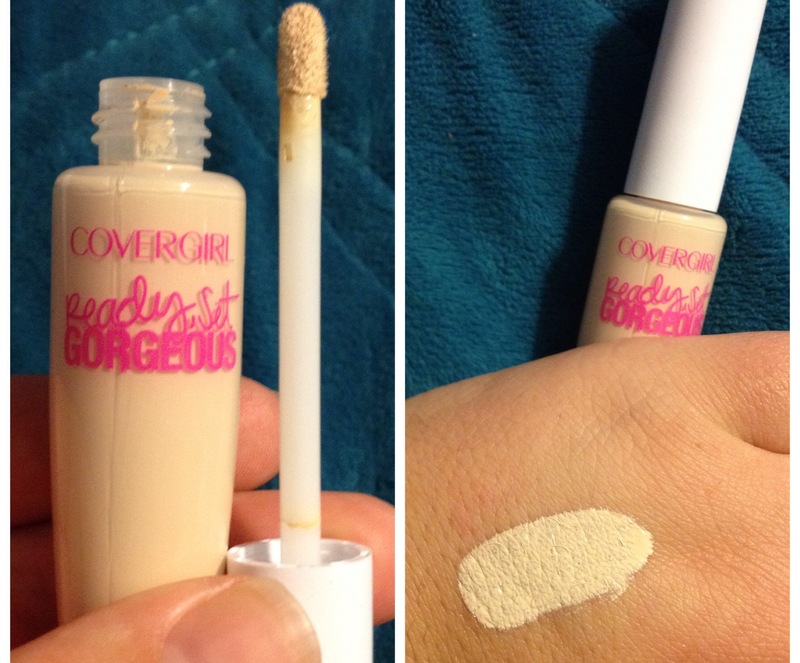 Covergirl ready set gorgeous concealer in fair ($3.99 @ target). Okay so that is everything I got, now remember I paid $.99 for each item, I added up the lower price option for each item and guys all of this makeup at regular price would have costed me around $95! I am just insanely happy about the great items I got for this great price! I’ve already tried out a few of the products (bought the stuff yesterday so I used some this morning). I used the covergirl the super sizer mascara, which went in really nice and hasn’t smudged it flaked so far today. I tried the covergirl outlast foundation and I actually think the soft honey shade really works for me, and the formula felt really nice. Also I used the elf primer, which I haven’t really noticed a diffence between using the primer and not using any, but I’ll have to make that judgment on a day that in doing more intensive stuff I believe than sitting around all day. 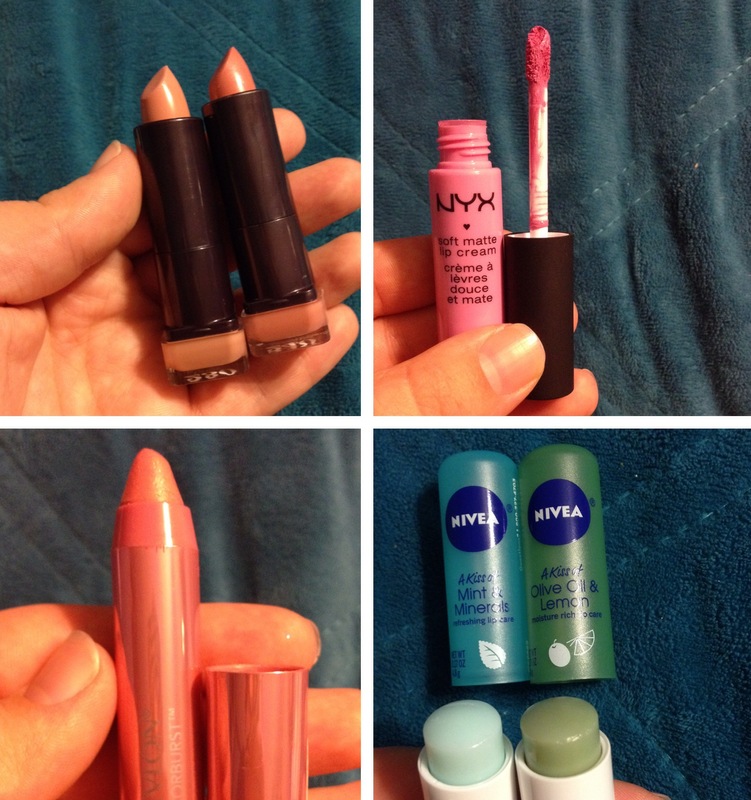 And the last new thing I tried was the covergirl lipsticks, which I wrote a little review if under the picture. I’m very happy that I’m getting to try all of these products at this price, I’ve been getting more into makeup lately, but just couldn’t bring myself to pay even some smaller prices (like 5 or more dollars) when I just have/had no idea what shades and formulas I would like. I really amazes me I’ll be watching youtube or something and some ladies are like of this foundation was $10 so I just picked it up to try but it’s the wrong shade. Like y’all $10 isn’t a lot of money for something you know you like but dang for something that probably won’t even get used I just can’t fathom spending money like that on some face paint! Anyways hope you enjoyed reading this post, and I highly recommend looking up if there are any salvage stores in your area!! 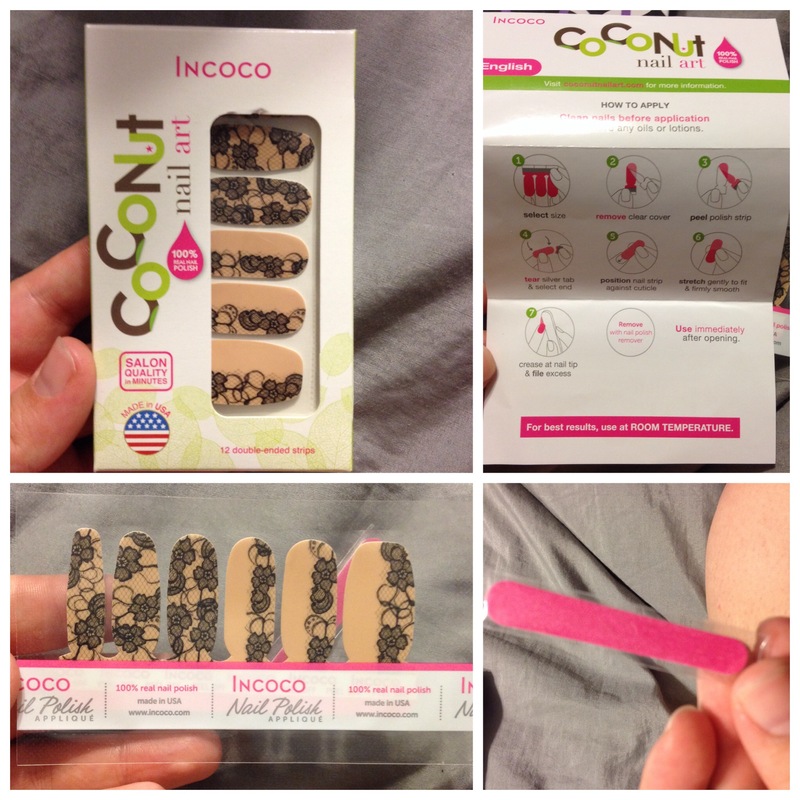 If you read my post about the summer walmart beauty box then you know it had the Coconut Nail Art in it. I put them on and wanted to show how it turned out! These are the ones I got (I got the same print in the trendsetter and classic box). Seeing these in the box I wasn’t a huge fan on the print, but figured I would try them out anyways. So in the box was the polish strips, instructions, and a little emery board (for trimming off the excess). You should know I don’t regularly paint my nails I just think it takes to much time and they never come out smooth and nice looking for me. 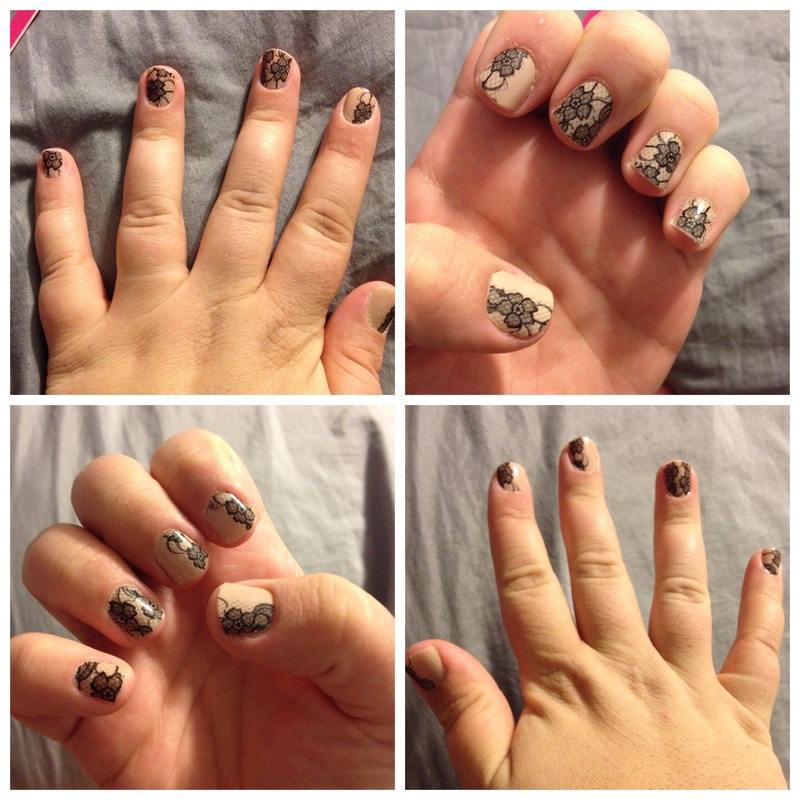 I’ve also never used any kind of nail strips like this either. 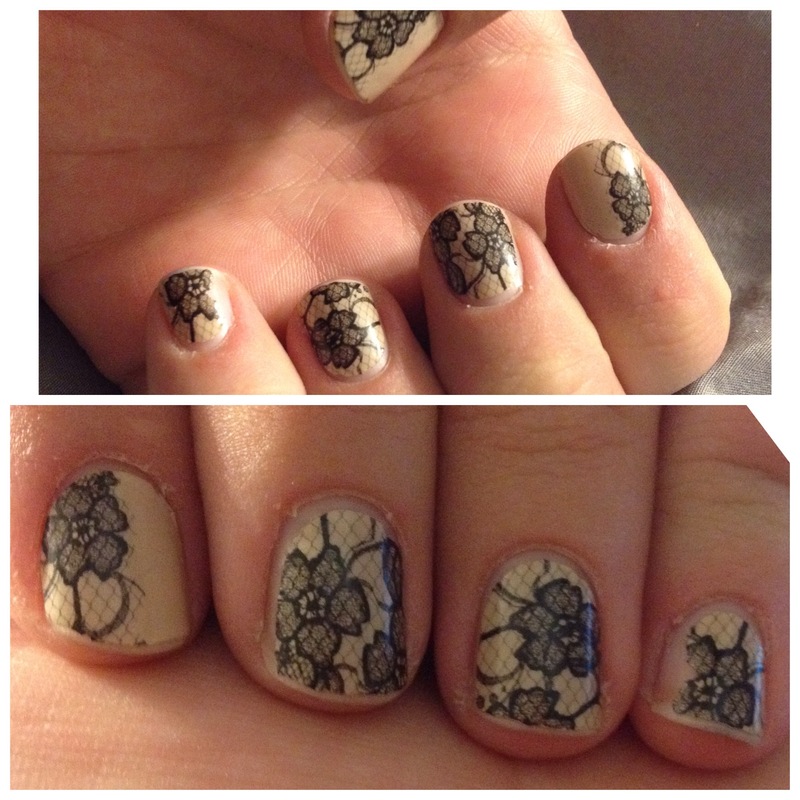 At first it was kind of hard to get them on at the right angle, but after the first couple it got easy. In the instructions it says to gently pull at the polish to stretch it if it’s not big enough, I tried that and it did not work. Silly me I didn’t realize until I got to my thumb (I started at my pinky) that there is six strips! So for my nails I shouldn’t have used the little one at the end, because then I went down the row and the rest where a bit to small. 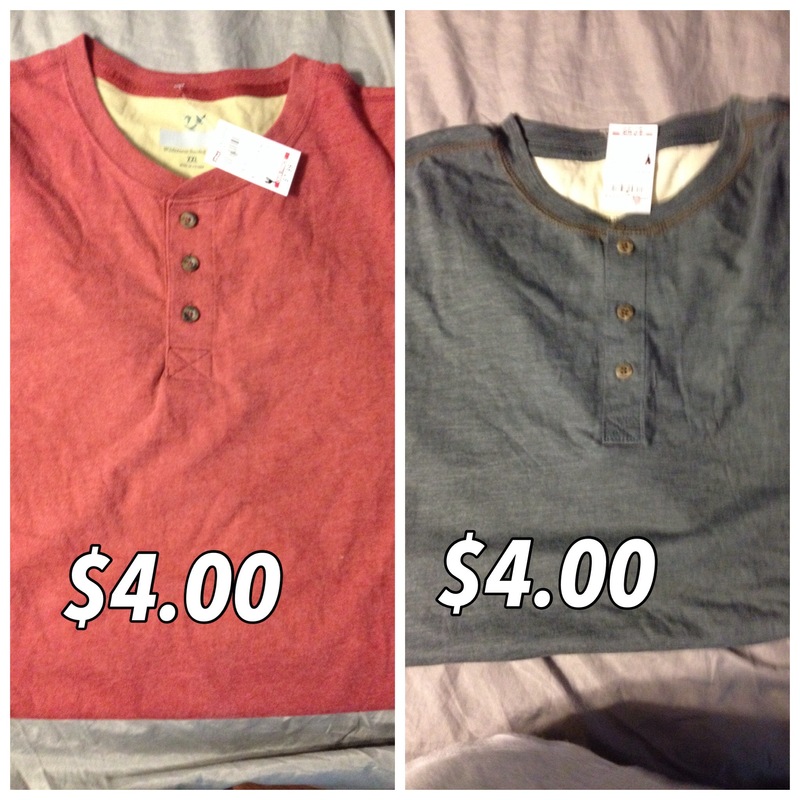 Oops, at least the second hand I used the right sizes. Very little amount of chipping, the only problem for me was where my nail had grown out I could feel the edge of the strips and it was too tempting to pick at them, so Friday night I ended I peeling them off. I have to at they held on better than I had thought. I loved how easy these where to apply, I’ve read directions for other brands of nail strips that said you had to apply heat and different stuff that just sounds like too much work. I looked at these at walmart and they have probably about 10 different style prints, and cost like $4.88 I think (so basically almost the whole cost of a walmart beauty box!) for me personally that’s not an amount I would spend for 5 days of nail wear on a regular basis, but I sure would buy them if I have an event I am going to or just want to have cute nails once in a while, because I hate painting my nails! I definatly recommend checking these out! Hey there! 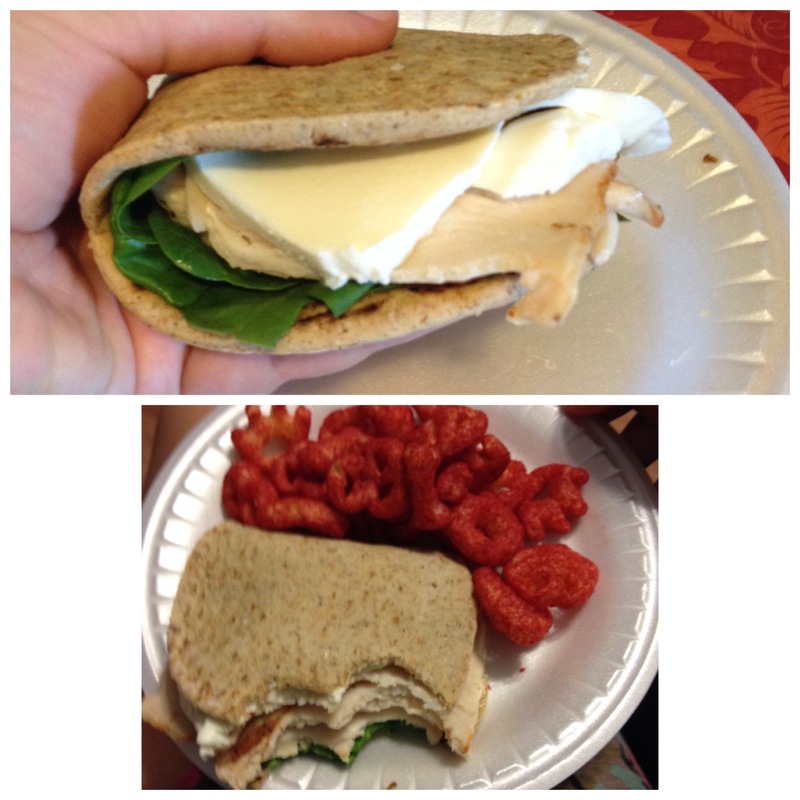 I was about to cook up some lunch and decided why not share my way to prepare it, so here it is! 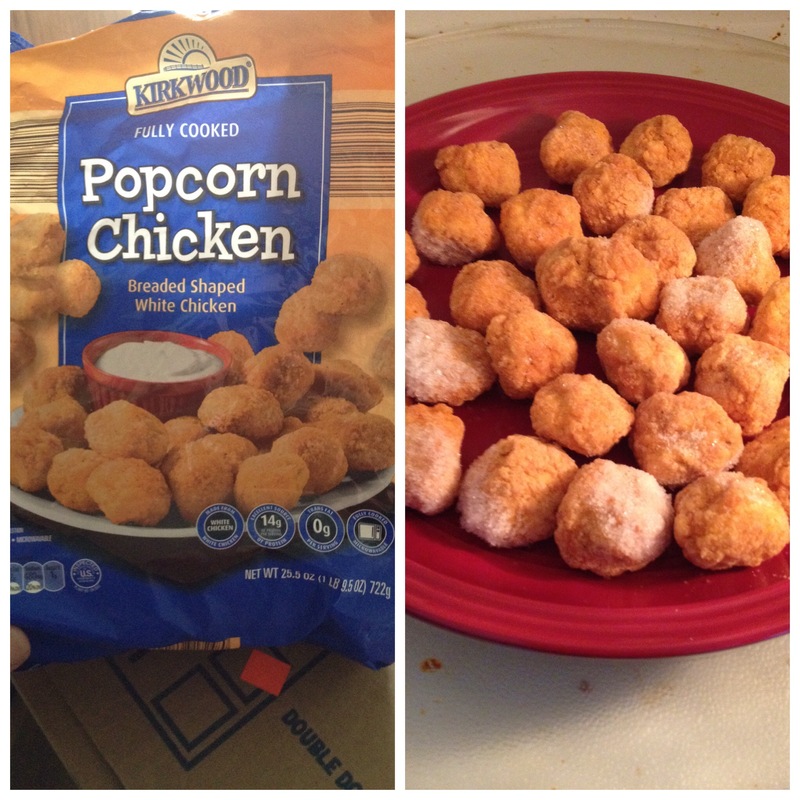 I buy this yummy, inexpensive Kirkwood Popcorn Chicken at Aldi, and I love it! 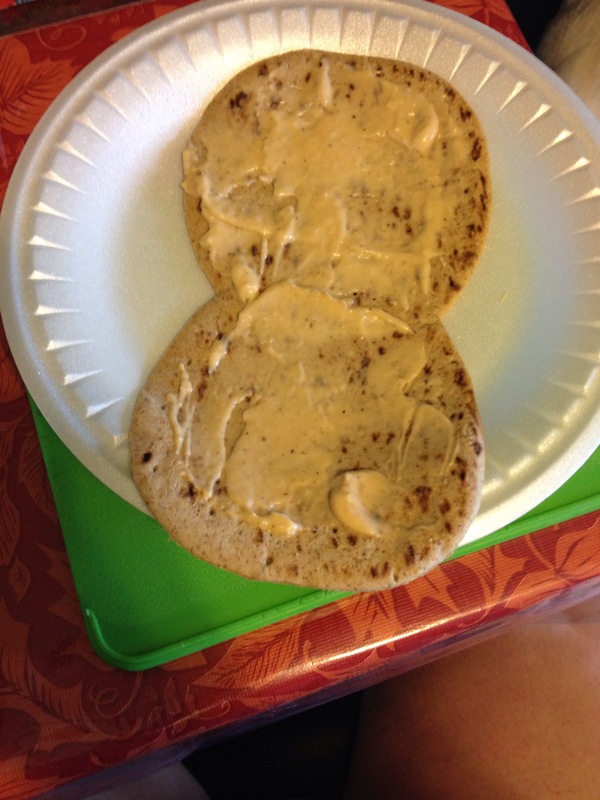 The first thing I do is put it on a plate and microwave it so that it’s warmed all the way through. 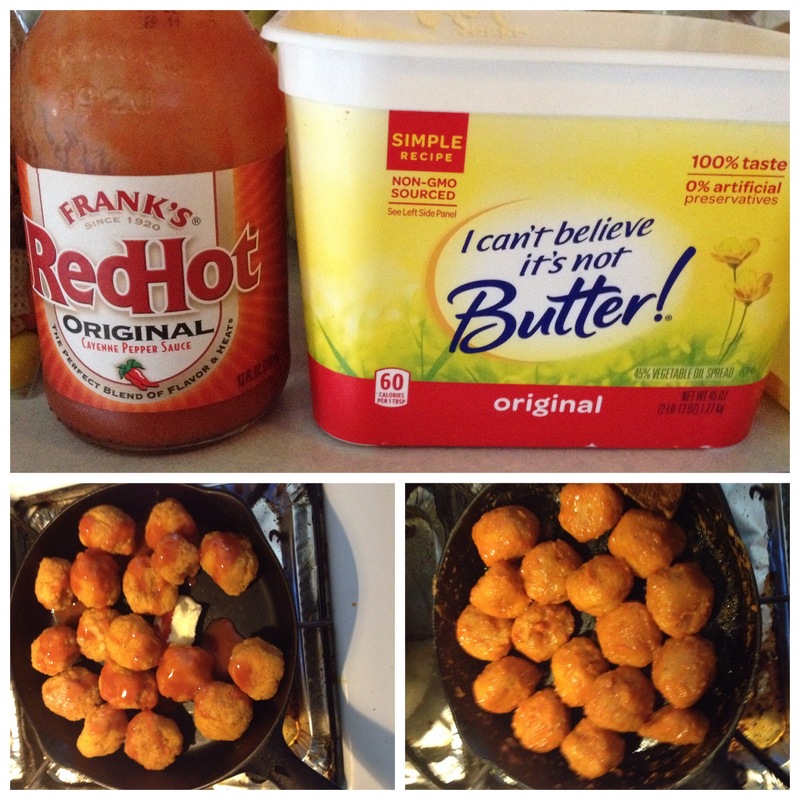 At this point you could go ahead and eat them, since it’s fully cooked already, but they have a sort of spongey texture, so I like to take it a step farther, now that it’s microwaved I put it in a pan with butter, and franks hot sauce, and fry them until they are covered in sauce and crispy! 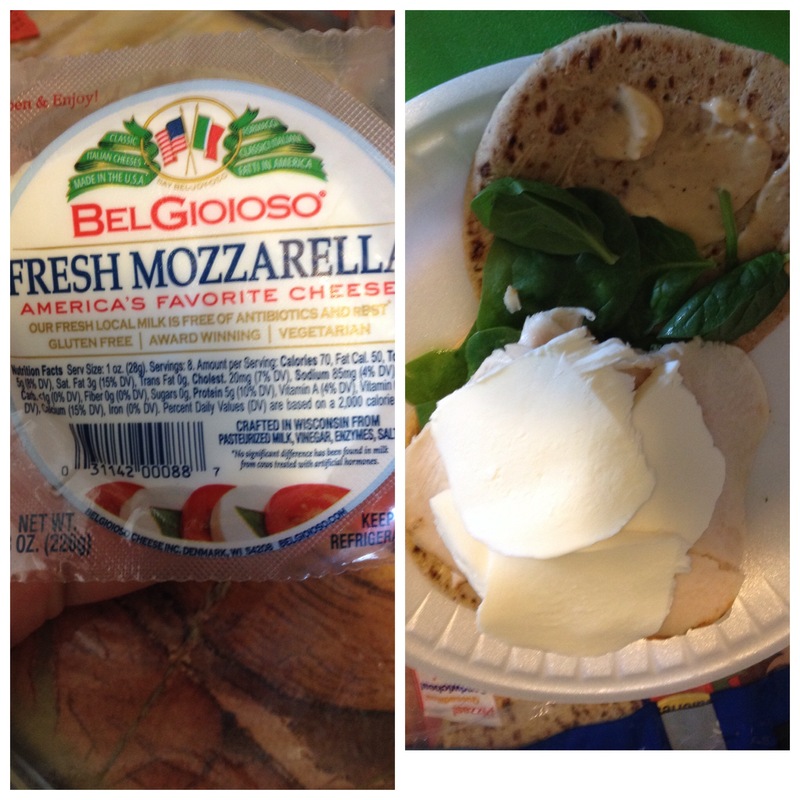 Ta-dah now you’ve made a quick, cheap lunch/dinner. 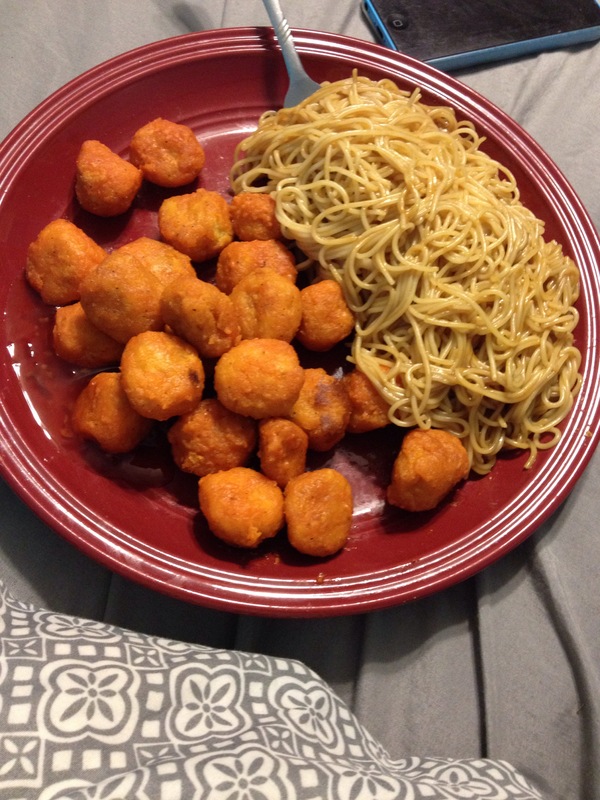 I love to cook this when I’m just cooking for myself, but it would also be a great dinner! I was eating it for dinner this time so I cooked up some pasta with butter, cheese, and balsamic vinegar glaze! 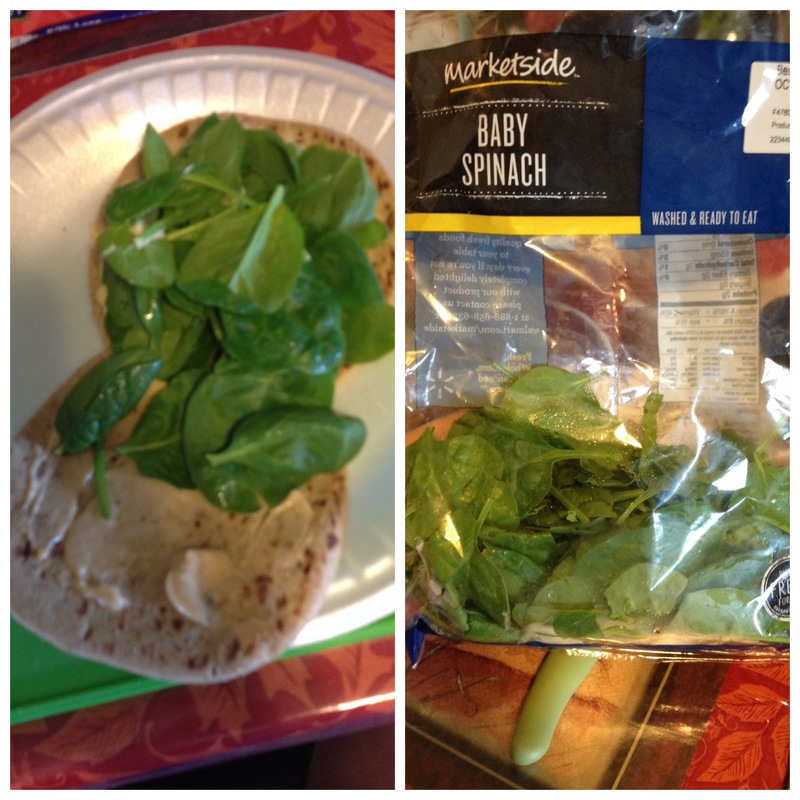 I hope you enjoyed this post, I know it’s pretty simple but I know I enjoy reading about easy things like this that I might not have thought of! Hello! Thanks for visiting my blog! 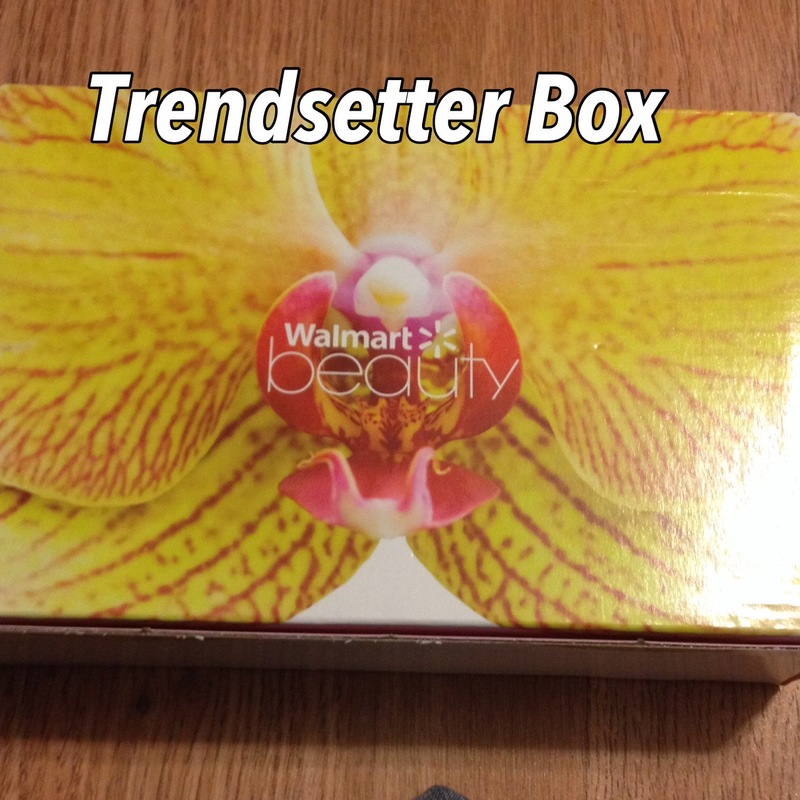 I wanted to write about the walmart beauty box! I’ve been watching youtube videos and reading blogs about the different beauty box subscriptions, and I finally decided to try this one out for my first one. 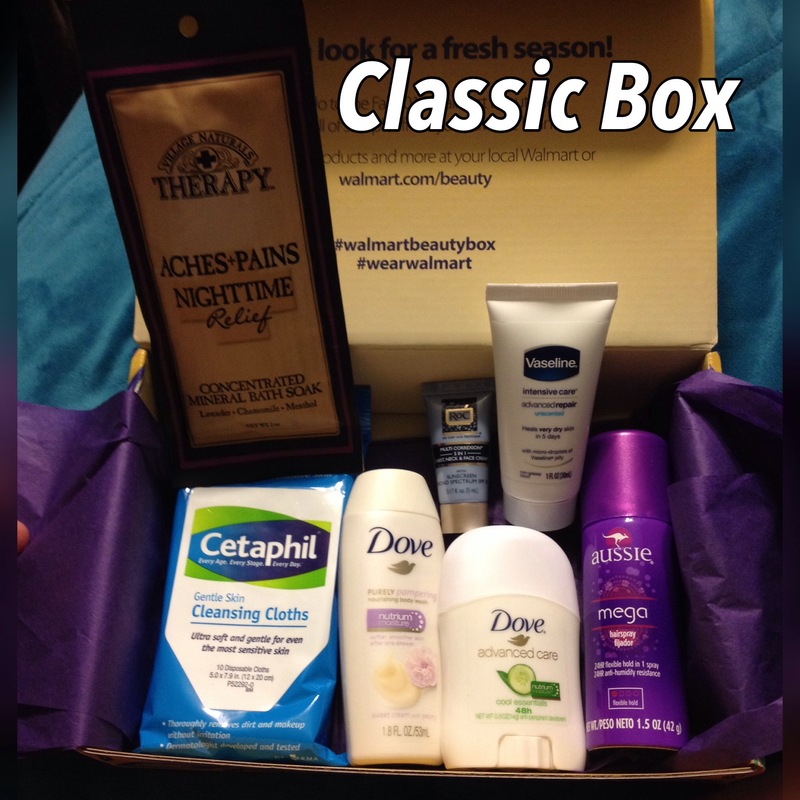 I shop at walmart frequently, and I like cheap stuff so this is a winner for me, they say the box is free, you just pay $5 for shipping, which I think is a great deal! 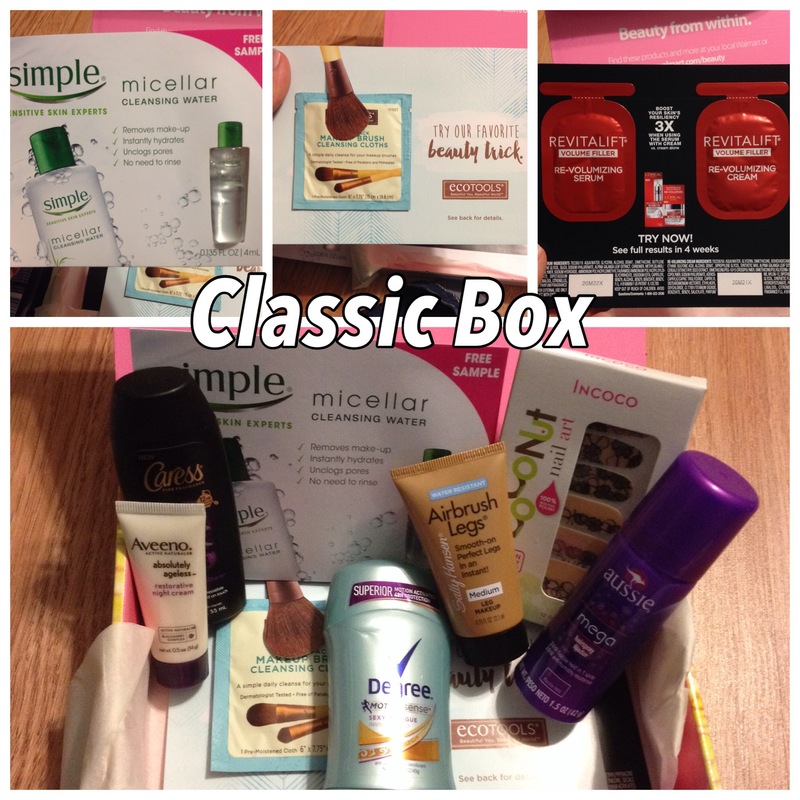 They have two box options, based on your age you get either the “trendsetter box” which is the younger ages, or the “classic box” for the older ages. I’m not sure what the age cutoff for each box is, but I’m 20 and I out in my real birthday for one box and got put in trendsetter, and then I signed up do another one and put my age as like 49, and got the classic one. I signed up on a Sunday night, and I think I recieves them a week or two later? It wasn’t very long at all, actually I got the “shipping” email the same day them showed up, so that was strange. Anyways now I’ll get into what was in each box! This is what the outside of the box looks like, and what it looks like when you open it there is a little card. This box had a little dent on the top but not a big deal. 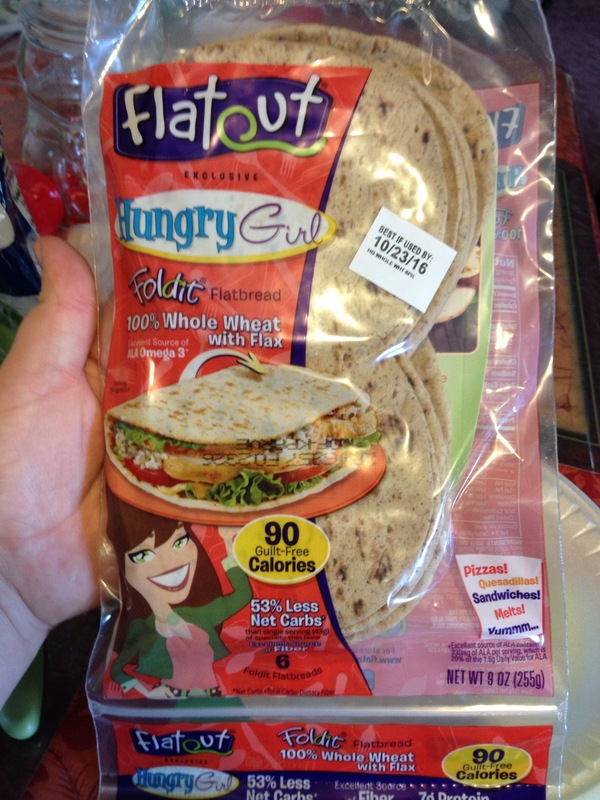 These are the regular sample sized samples! I was very pleased with these samples, I will use all of them (except the leg makeup, I tried it out and oh my that was bad!) from the top we have a full size pack of nail wraps, leg makeup, degree deoderant, caress body wash, aveeno night cream, and Aussie hair spray. On the top row in this picture is the foil type samples. A sample of micellar water (I didn’t like it, it claims to wash off makeup and after using it I still had makeup left on y face), a brush cleaning wipe, and two little packets of revitalift cream. Then the bottom picture is the whole box. Same box style, same card and tissue paper inside. 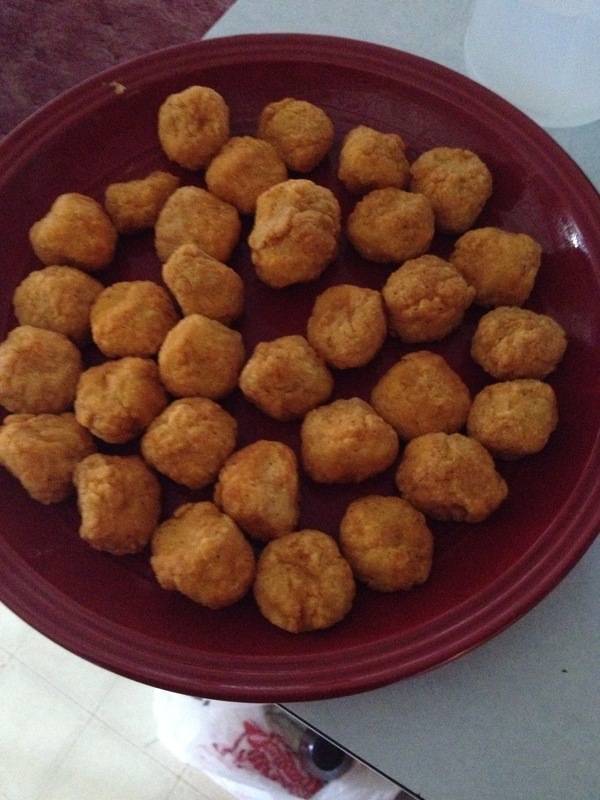 These are the sample size ones from this box. Schwarzkopf shampoo and conditioner (I really liked this and plan on buying it in full size, even though I don’t color my hair I love the scent of this and how it makes my hair feel and look! 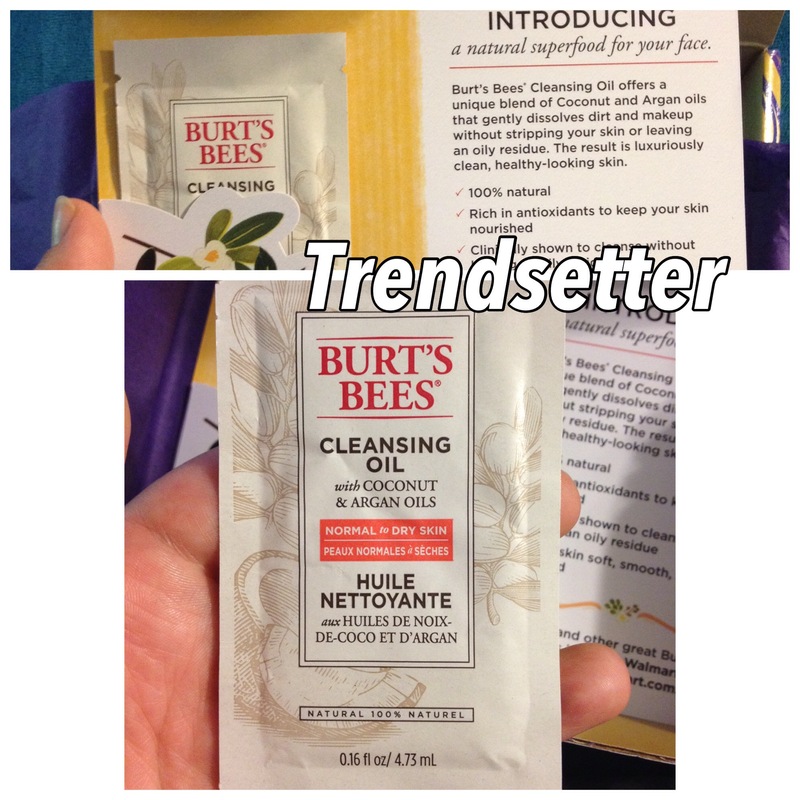 Also I got about 4 uses out of this sample! 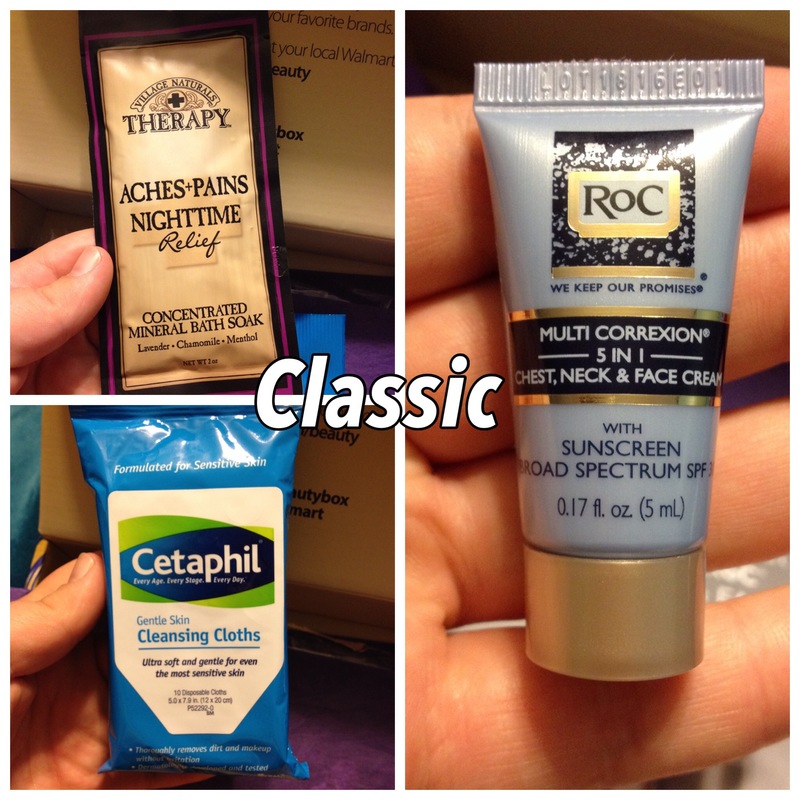 I hate foil packets of shampoo that you only get one chance to either like it or not), another set of nail wraps (unfortunatly in the same print as the other box), another degree deoderant in the same scent, leg makeup, and arm & hammer truly radiant toothpaste! These are the foils that came in the trendsetter box, more micellar water, another brush wipe cleaner, and Nivea in shower body lotion (I had tried this before in a sample and didn’t like it, so I tried it again and still didn’t like it, it feels nasty on my skin, and I don’t need another step in the shower). Bottom picture is the whole box. 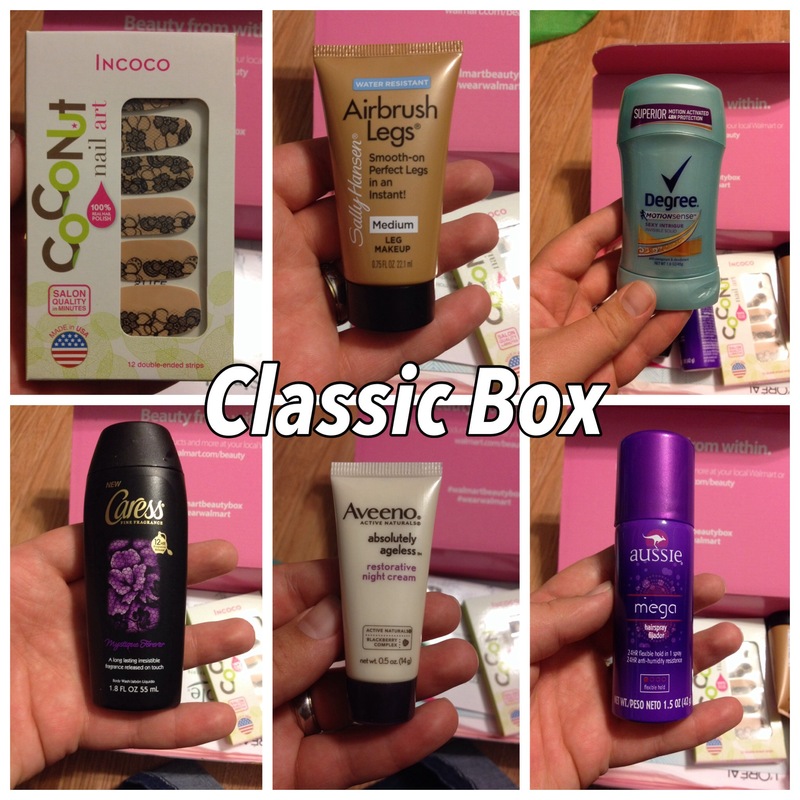 Over I think it’s a great deal, $10 to have all of these fun samples sent to you, ($5 if you only want one box)! One thing I will say is annoying is that they don’t specify in the boxes which is which, so if you get both you have to guess, I put one box under my shortened name, and one under my full name, so I just look at which box is registered to which name! This is a “seasonal” box which means you get it four times a year, summer, fall, winter, and spring, and the sample seem to go along with each season from what I’ve seen in other peoples reviews (deoderant, hair spray). 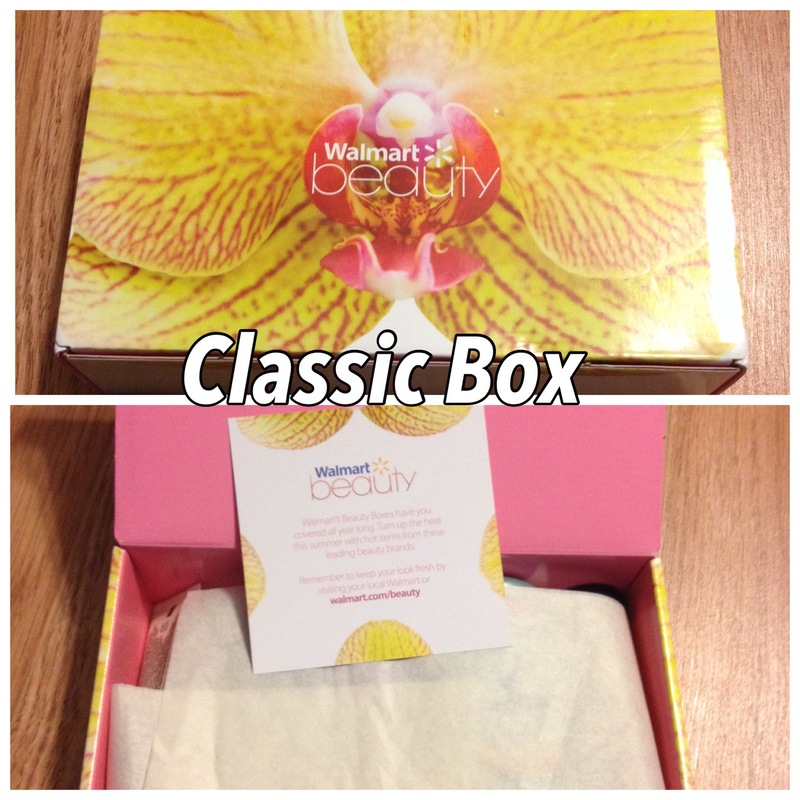 Hope you enjoyed this post, go check out getting a walmart beauty box beauty box for yourself! Hi! 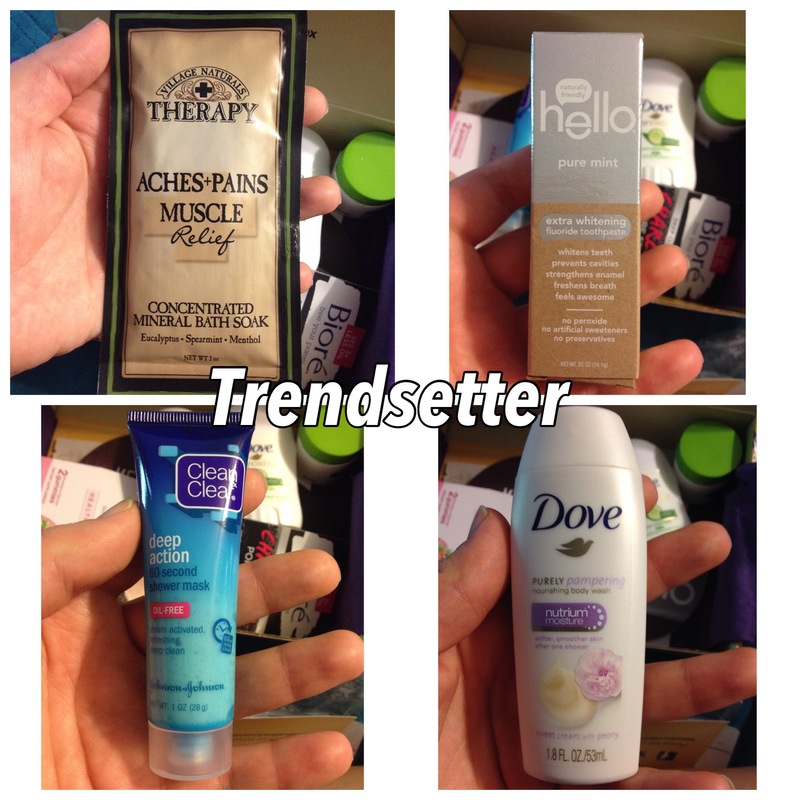 I wanted to share the items I got at label shopper (it’s a store similar to gabes). I was going back to return some thing my husband didn’t fit, and he wanted more of this style shirt, I had bought one the wek before for. $8.99, so I was super excited to see that these where on sale for $4.00! I got a robe for myself, I love the length of this one and it’s super soft! 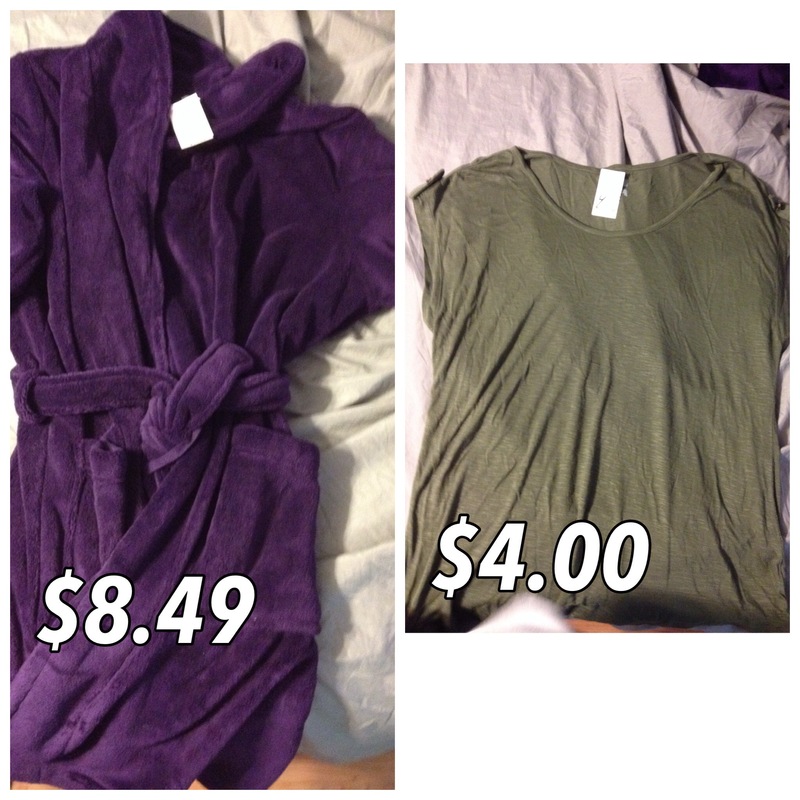 One thing that is annoying about this store is that the tags might not say the actual price, the tag in the robe said. 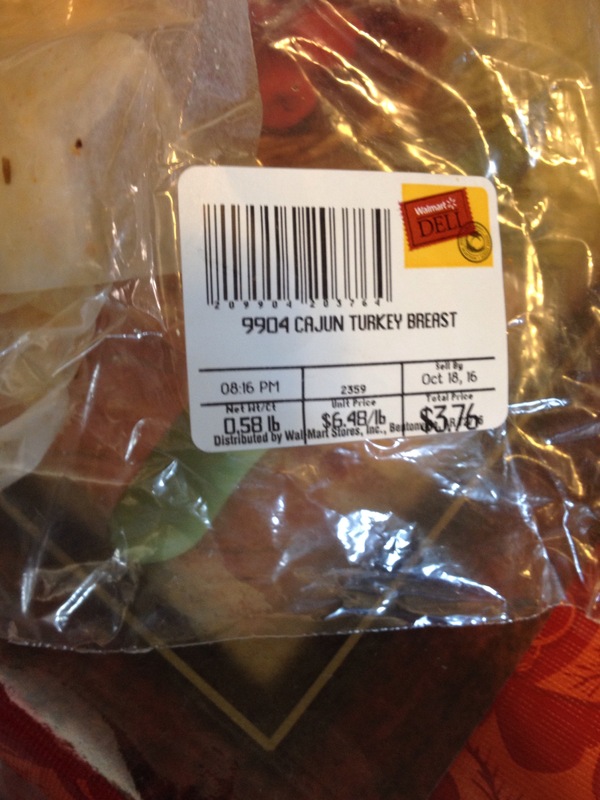 $16.99 and it rang up for $8.49. It’s a nice suprise, but still annoying to not truly know how much the item is until you check out. Also I bit this cute green shirt, it’s sort of a dressy material. Let’s just talk about these shirts for a minute, I love them! They are super cute , and just a nice solid colored tank to have cause you can wear it with so much ! I had bought a grey one the first time I came here, and I fell in love so I knew I had to look for more when I came back! 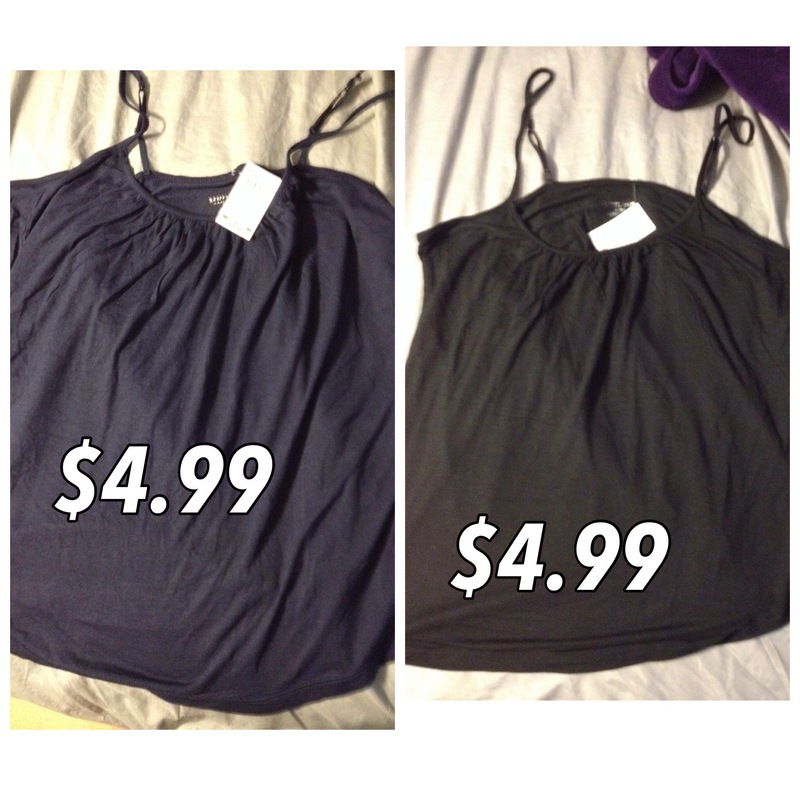 I got two more in black, and dark blue! I love these shirts they fit so nice, I love how they are cinched in at the top then just kind of flow out at the bottom into a more boxy look! Sorry it’s a crappy angle , but here us what te shirt looks like on . 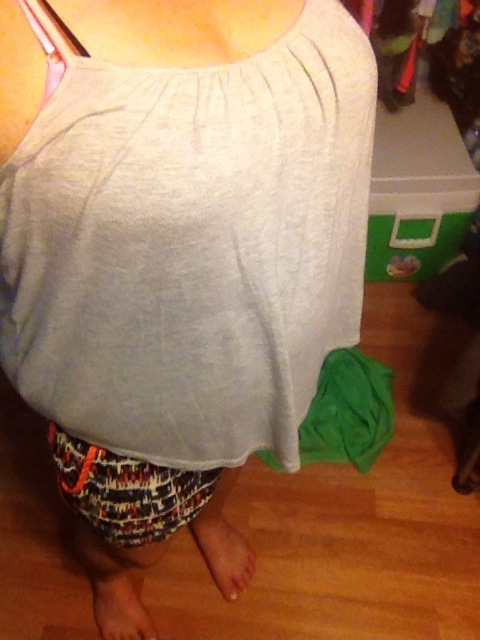 I think it’s very flattering on my shape, and I just love it! Well that’s all I got this time around, hope you enjoyed reading!